Looking for data around what state tax laws are the best or worst? 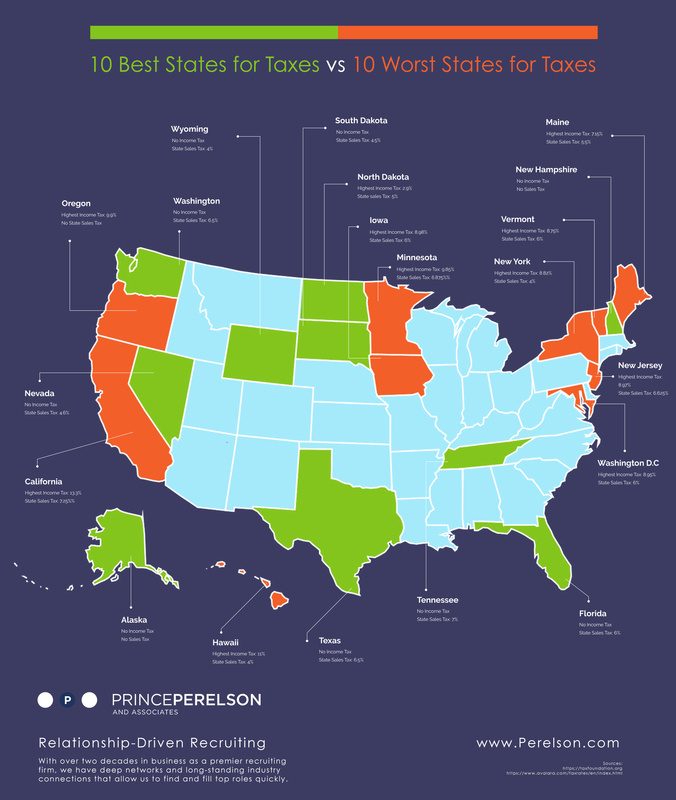 The below infographic outlines the 10 best states for taxes and the 10 worst states for taxes. Get the full scoop from the useful map below.